Bibi Andersson, known for her association with the late Ingmar Bergman (1918-2007), died Sunday, April 14, in Stockholm. She was 83. The New York Times reports her death was confirmed by a spokesman. Andersson was born November 11, 1935, in Stockholm. She set out to become an actress in her teens, finding extra work in Swedish films before making her credited debut in Dum-Bom (1953). More importantly, she appeare in a 1951 TV spot for Bris soap, directed by Bergman. The association led him to cast her in Smiles of a Summer Night (1955). They became lovers. 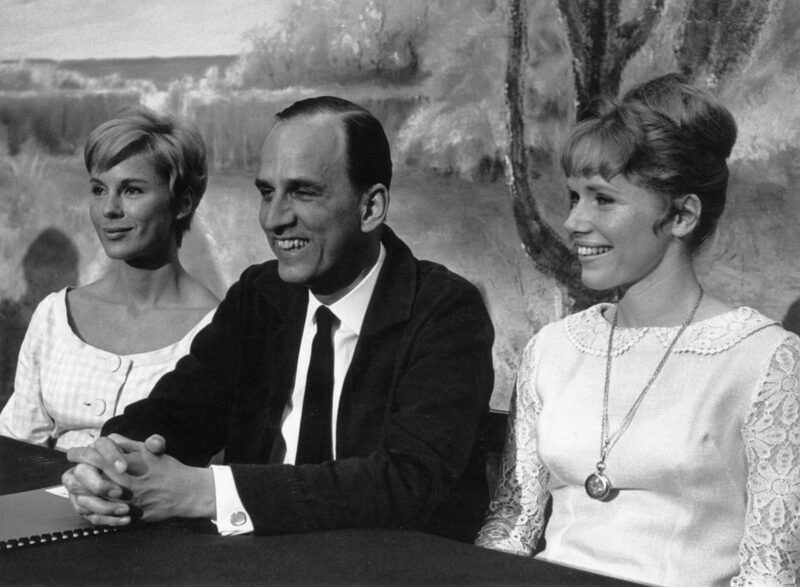 After studying at the Royal Dramatic Theater, she continued in films, including the Bergman-scripted Last Pair Out (1956). In his The Seventh Seal (1957), she was a memorable picture of innocence and purity, and in Wild Strawberries (1957), she played both a maiden and a butch hitchhiker, hinting at her range. It was Persona (1966) that sealed the deal for Andersson, whose perormance won her international acclaim. She also appeared in and enhanced his The Devil's Eye (1960), The Passion of Anna (1969) and The Touch (1970). She did not shine only for Bergman, winning one of four Guldbagge Awards (the Swedish Oscar) for 1958's Brink of Life, best actress at the Berlinale for The Mistress (1963) and a National Society of Film Critics award for Scenes from a Marriage (1974), among many other honors. Other projects included the films I Never Promised You a Rose Garden (1977) and An Enemy of the People (1978) and the 1985 miniseries Wallenberg: A Hero's Story. Equally at home on the stage, she was as much a theater actress as a film actress in Sweden, and debuted on Broadway in 1973's Full Circle. Andersson's last film work was in 2010. She is survived by her third husband, Gabriel Mora Baeza; her daughter; and her sister.